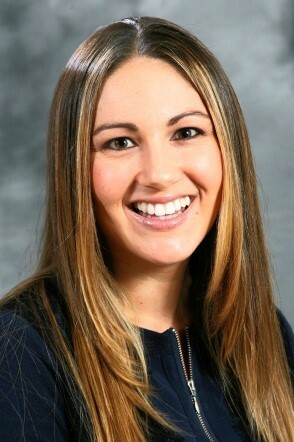 Dr. Kristen Schiele received her Ph.D. in Marketing from University of California, Irvine. She is on the Board of Directors for the Marketing Educators’ Association, and her primary areas of research are Consumer Culture Theory, Design Thinking, Digital Marketing and Marketing Education. Some of her recent awards include Provosts Teacher-Scholar Award, Service-Learning Faculty Fellow, DOLCE 3.0 Grant, and "Best Overall Civic-minded Project Award" at the Cross-Disciplinary Civic Engagement Symposium. Dr. Schiele frequently presents her research and serves as a reviewer for professional communities such as, Marketing EDGE Summit, Marketing Educators’ Association, and Southern California Consumer Culture Community (SC4). She also has over 10 years of industry experience at various companies including: The Irvine Company, Fit for Green, Susan's Healthy Gourmet, and as a blogger and marketing consultant. Schiele, K (2018) “Utilizing Gamification to Promote Sustainable Practices: Making Sustainability Fun and Rewarding,” in Handbook of Engaged Sustainability (Eds. Dhiman/Marques). Chen, S. & Schiele, K. (2017). "Positioning SMEs with a Lone Designer: A Qualitative Study of Small Design Firms”, Journal of Marketing Theory and Practice. Schiele, K., Matzen Jr., R., & Bridgewater, M. (2017). "Digitizing the Student Experience: Using e-Portfolios to Demonstrate High-Impact Educational Practices and Promote Student Employment Success”, Journal of Higher Education Theory and Practice. Schiele, K., & Venkatesh, A. (2016). Regaining control through reclamation: how consumption subcultures preserve meaning and group identity after commodification. Consumption Markets & Culture, 1-24.